I have had this kit for three months and finally took the time to put it together before my latest Creative Corner segment on ciLiving this afternoon. (Watch me on TV here.) I couldn't believe it only took me a little over an hour to complete! (Note: I kind of knew what I was doing already, so it may take you closer to two hours to complete this project.) And it is GORGEOUS in person!! Check out this video from Stampin' Up! 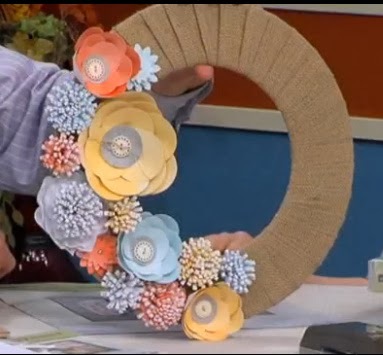 to learn how to make this beautiful spring wreath with the Burlap & Blooms Wreath Kit. Buy the Burlap & Blooms Simply Created Wreath Kit in my Online Store now for only $17.95!